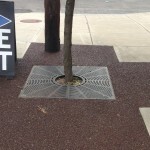 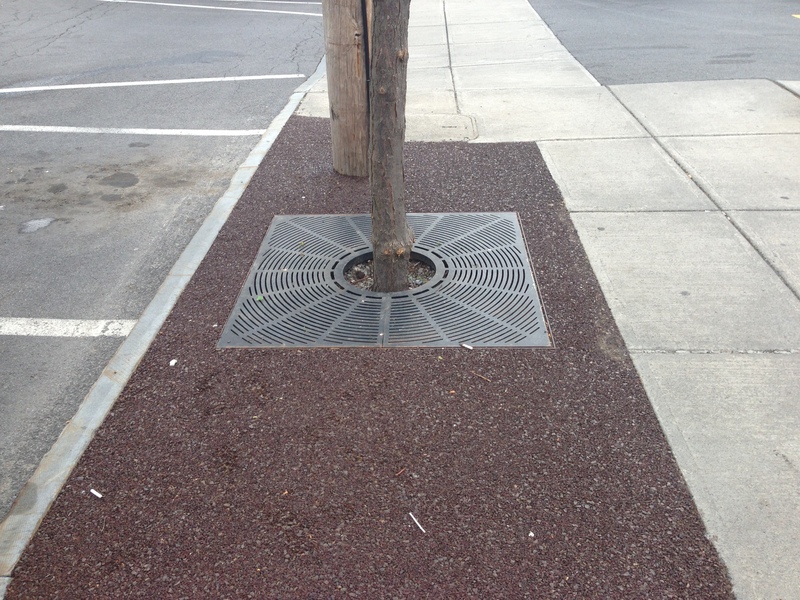 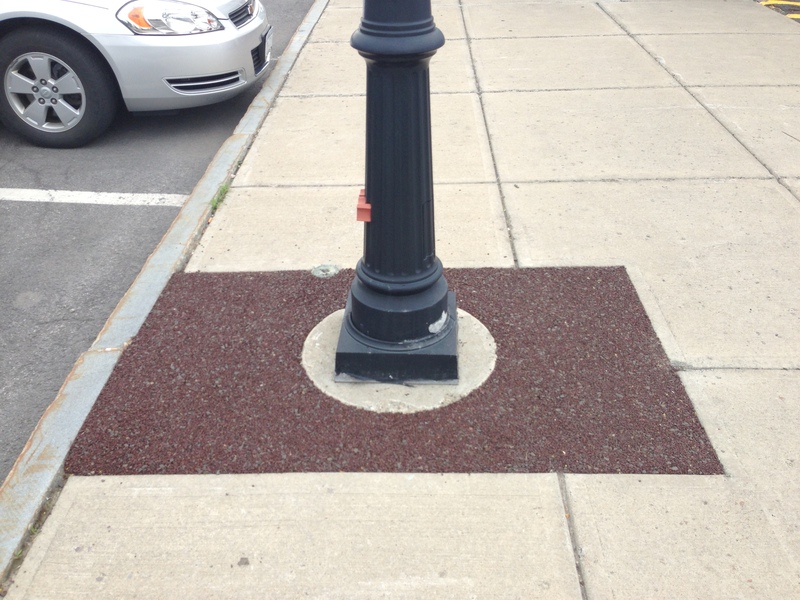 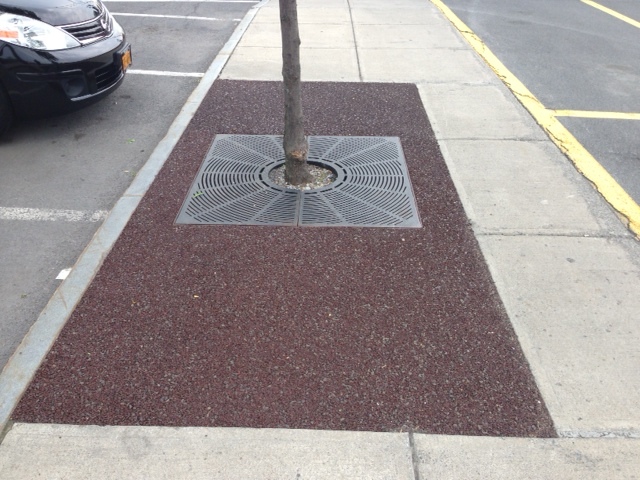 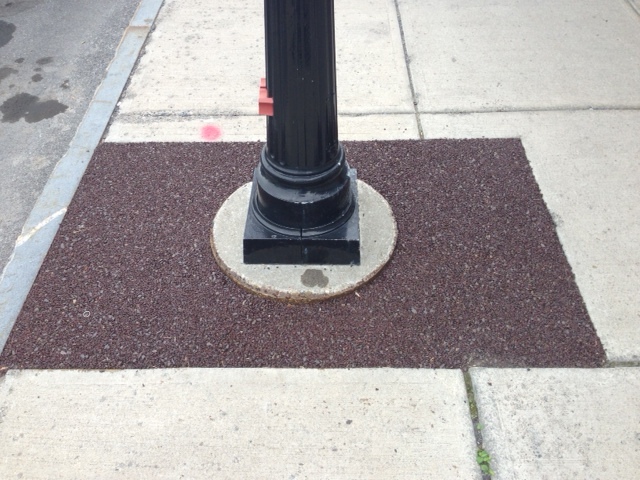 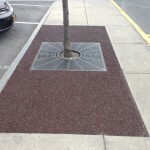 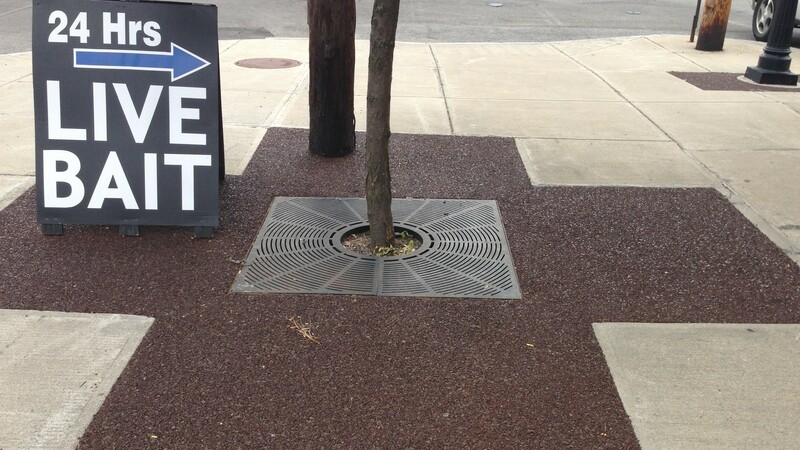 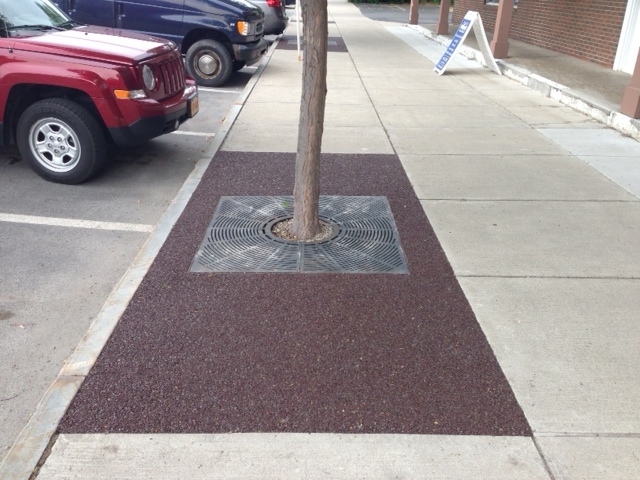 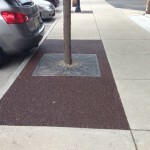 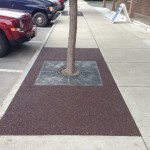 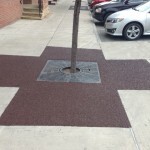 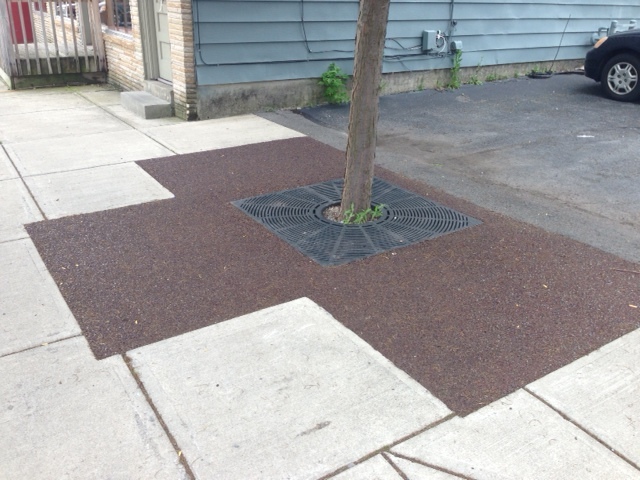 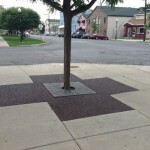 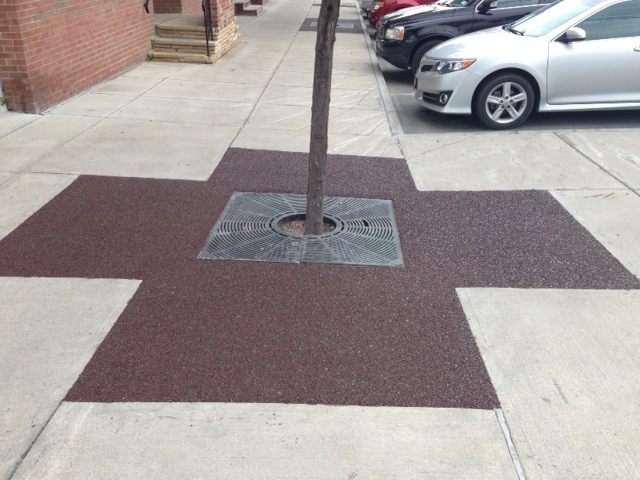 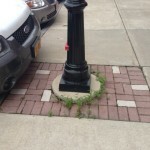 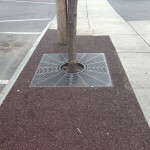 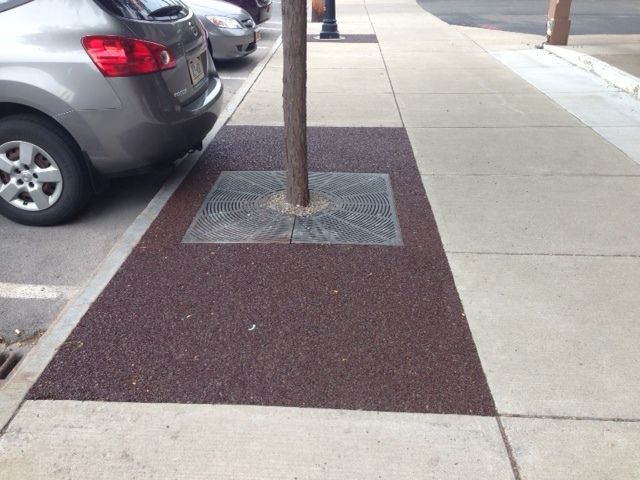 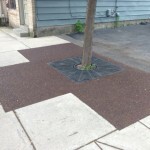 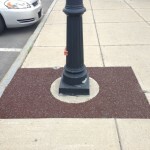 Almost a tree surround, Flexi-Pave was used here to replace the aging brick. 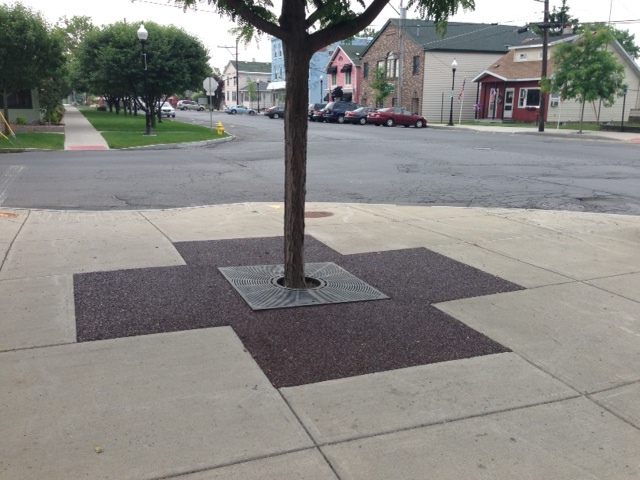 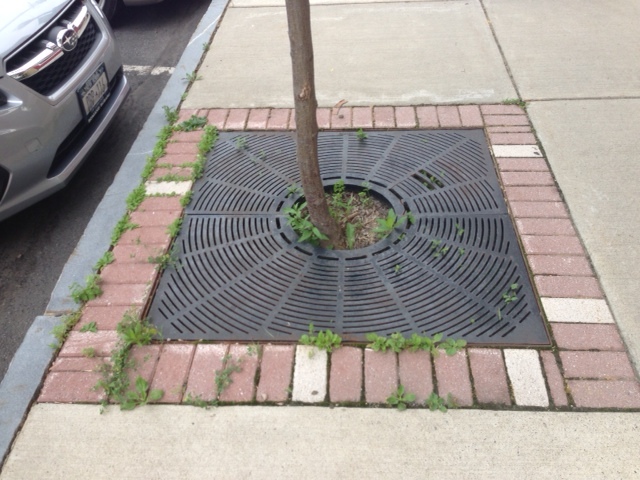 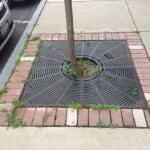 This is a standard tree surround. 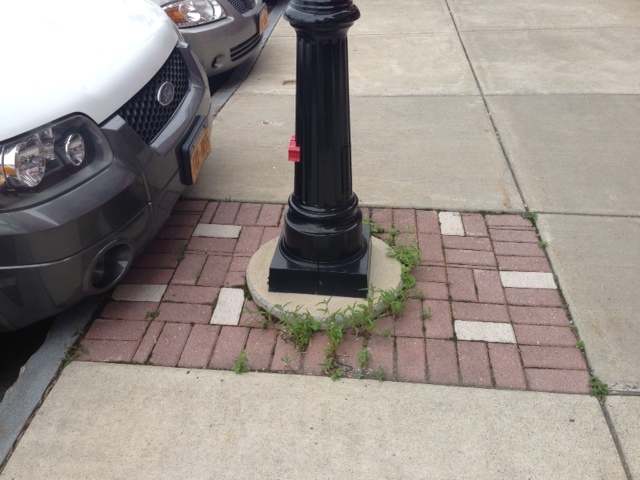 They are a tripping hazard, grow weeds, and collect trash! Replacing bricks with Flexi-Pave. 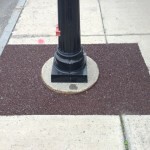 Bricks can move causing tripping hazards, Flexi-Pave will not.